Yesterday the world celebrated the silver jubilee of DOS based computer viruses, yep, 25 years ago 2 Pakistani brothers Basit & Amjad Alvi wrote what would become an inspiration for the future virus writer - The Brain Virus. It was initially a copyright protection measure which protected their proprietary software from piracy by replacing the boot sector of an infected floppy disk with malicious code , thus moving the real boot code to another part of disk. It also slowed disk access & some unfortunate disks were rendered useless by it. Furthermore, all other floppies that were inserted on the infected machine would get infected but Brain did not copy itself to hard disk drives. The flipside? Well..The Lahore-based Alvi brothers were upright about their actions & even included far their names and business address in the malware code. Contact us for vaccination............ $#@%$@!! 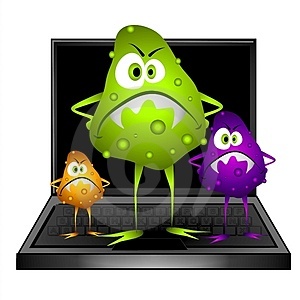 The virus infected machines in even US & UK, quite peculiar for a malware that was targeted at copyright violators. Times have changed..This virus was targeted at copyright violators, & was a curious attempt for the motivated, by the motivated. But today, every other virus would evolve into a Zombie botnet client.